Mediterranean sea, just south of Byblos city. 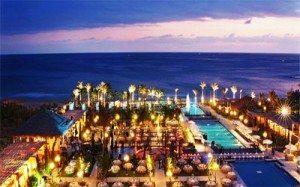 At 30km from Beirut airport (about 35 minutes by car), the resort is open day and night, all year long, and lies over 85,000 square meters. Its hotel, bungalows, restaurants and multipurpose facility are all inspired by Byblos architecture and heritage. Eddé Sands is the cornerstone of a mission to turn Byblos into a major tourist destination to rank among the most renowned attractions in the Middle East. Located on the Mediterranean Sea, next to the ancient Port city of Byblos at a convenient distance of 35 Km north of Beirut.